1942 On 1st June, the old church was gutted by bombing. The treble and two were squashed into a flat shape with only their canons projecting. The tenor was almost undamaged although quite porous in the soundbow and of poor tone. The old church was demolished in October. The bells were salvaged. 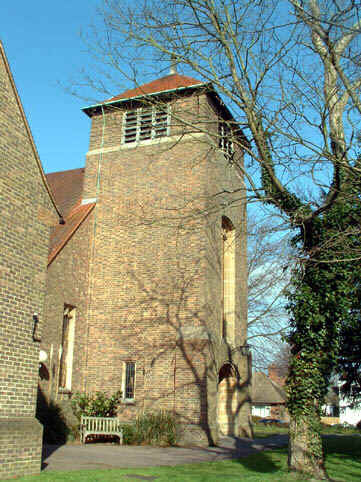 1957 A new church was built on a new site on the Old Dover Road. The 2 smaller bells were recast into a new bell to hang in this tower. The old tenor was kept on display under the tower. c 1990 The old tenor was transferred as an exhibit to the Canterbury Heritage Centre in Stour Street.